This year, I bought my parents a 3D printer as an early Christmas gift. 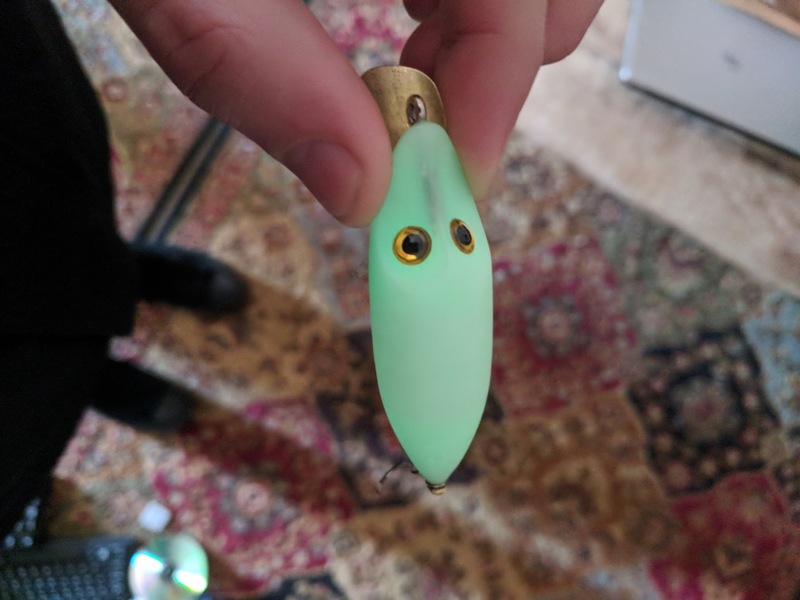 The first thing my dad asked me when he saw it was "Can you make fishing lures with that thing..?" We thought it was worth a shot. To my direct family, I'm known as a bigtime collector of Heddon River Runt fishing lures. 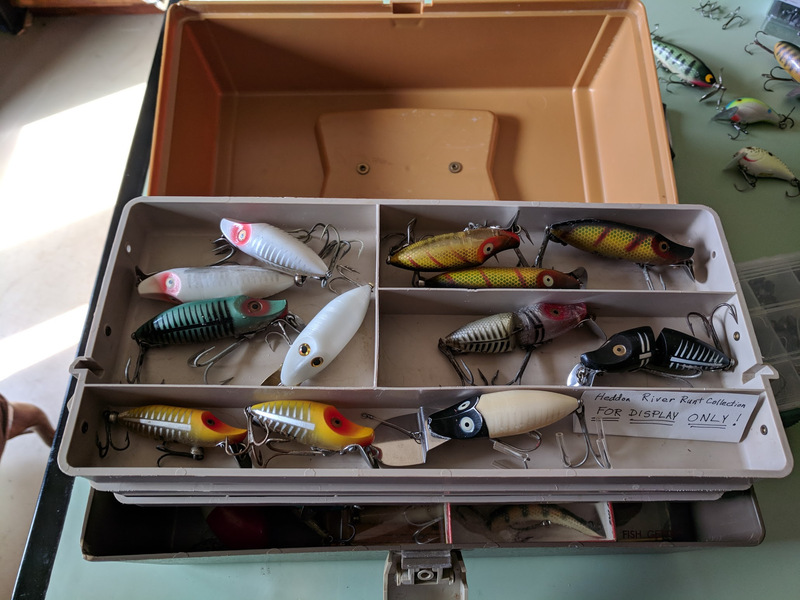 I started my collection around age six, and today it sits at a little over a dozen lures total. 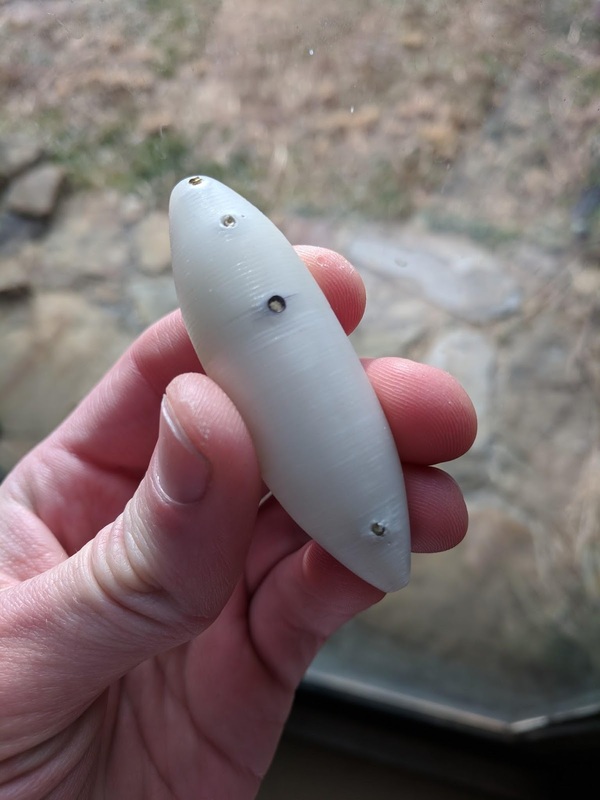 It's obvious I have a soft spot for the goofy little things, so when the topic of 3D printed fishing lures came up, making a River Runt felt like a logical first step. Now, we didn't want to make something like a River Runt - we wanted to make the real deal. 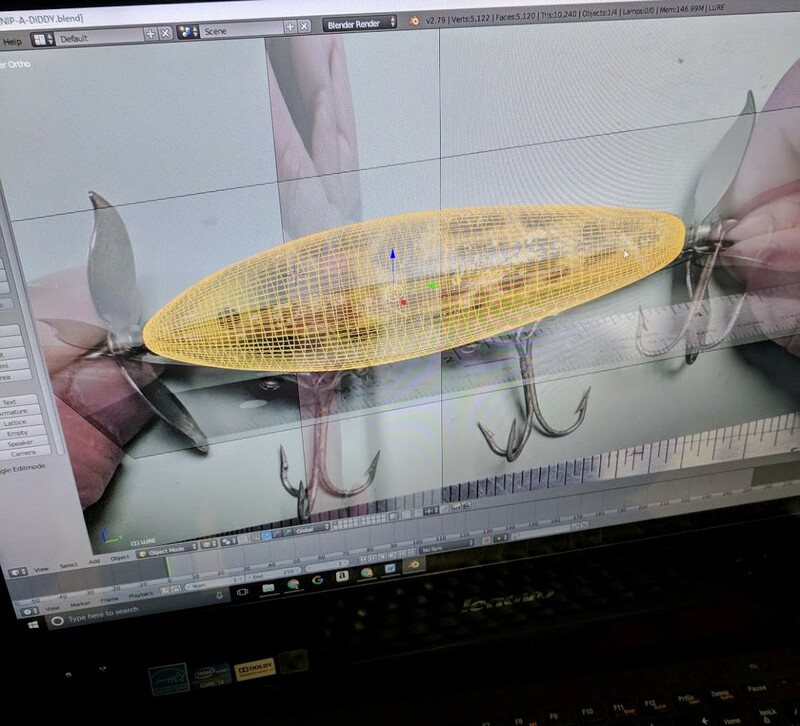 To get our lure as close as possible to the original, we set up a Blender scene with front, side, and top reference images, then traced them to-scale in 3D. Next, we added screw holes and a hollow cavity to increase buoyancy. Sure that our modeling work was behind us, we fired up our shiny new Monoprice Select Mini and kicked back. D'oh! We forgot to add tolerances to our screw holes. After snapping a couple brass screw heads and getting creative with a drill bit, we decided to go back to the drawing board and loosen things up a little. A few clicks in Blender (and about an hour to print another lure) and we would have our second prototype - this time a winner. While our second prototype printed, we set out to buy supplies. We picked up screws at Home Depot and hooks and adhesive-backed eyes at WalMart. 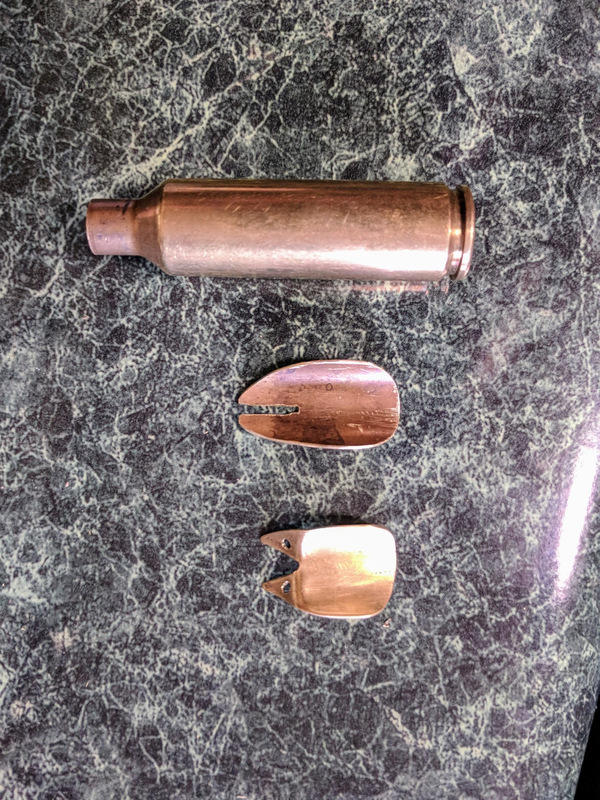 Hook hangers were sourced from a "junker" lure, and a brass lip was hand-crafted from a 270 WSM bullet casing using a dremel tool and hand files. Right: "Don't give me no lip"
Left: Does it still count as "handmade" if you use a 3D printer? Did I mention this thing glows in the dark? We used Hatchbox's Green Glow in the Dark PLA for this project, and the stuff REALLY glows. 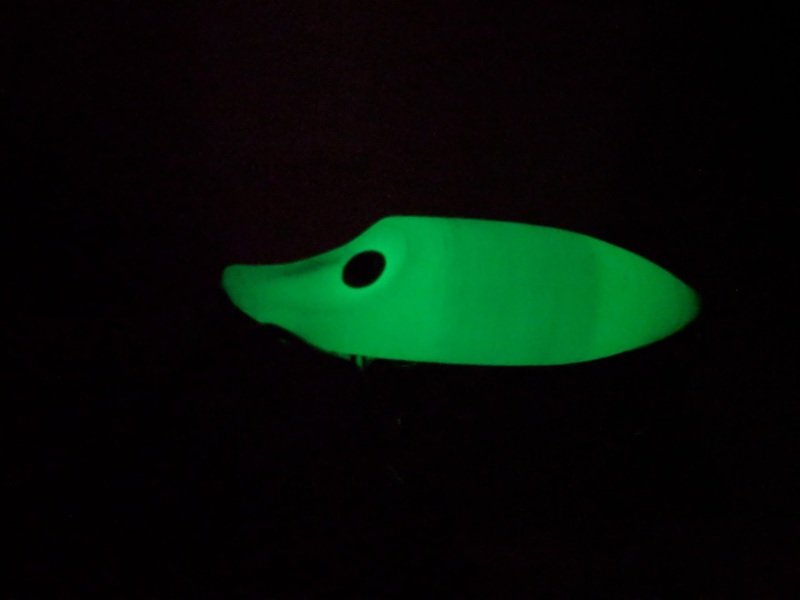 I'm definitely attracted to glow in the dark stuff - maybe fish are too. Angler fish do pretty well for themselves, right? 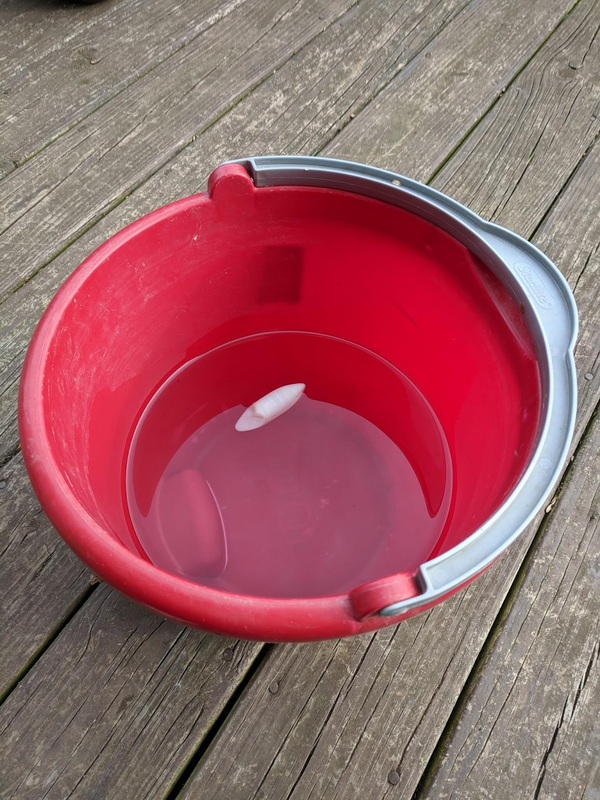 Now that's all well and good, but, you're asking, does it catch fish..? 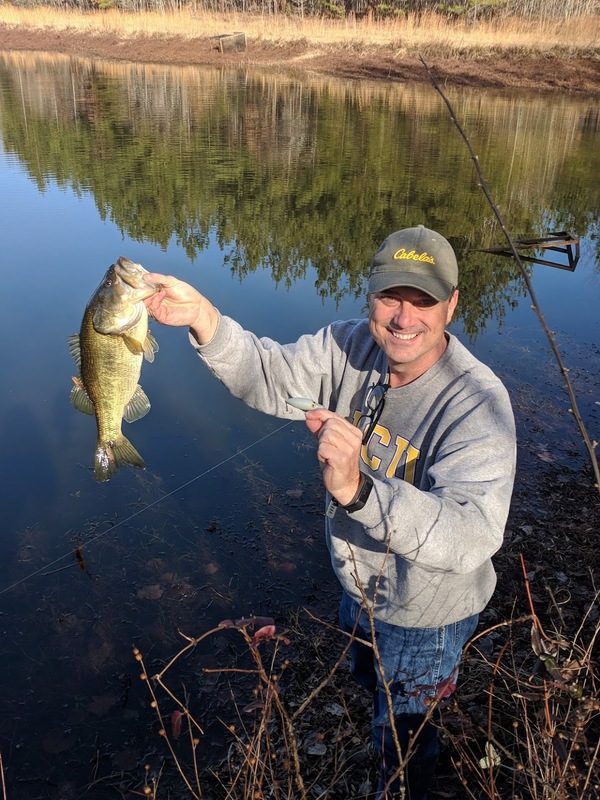 To say the thing catches fish is an understatement. After about 30 minutes of fishing, we caught so many that we got tired of taking pictures. It's safe to say my dad caught the 3D printing bug. After I left he ended up designing and printing several more lures of his own. 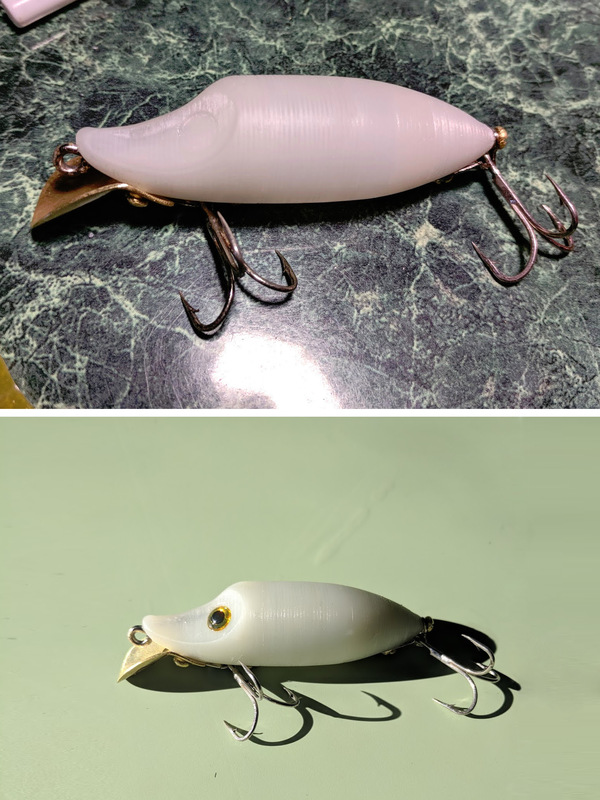 It's worth mentioning that none of the lures we printed are in production anymore. The Heddon River Runt, for example, was introduced in 1933 and went out of production in the mid 1980's(1). 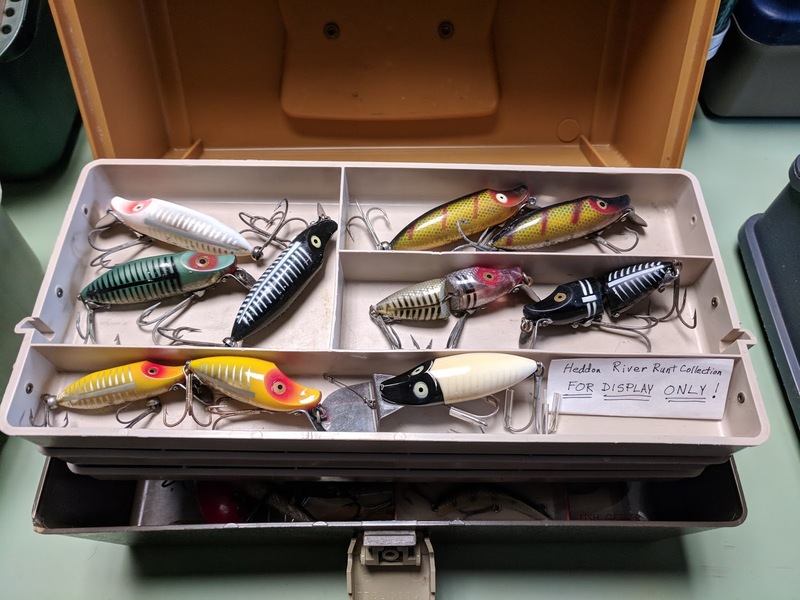 In good condition and in a "rare" color, some of these vintage lures (like the Heddon Punkin Seed) will sell for well over a hundred dollars on auction sites like eBay, which, in my opinion, makes them kind of too valuable to fish with. Using these reproductions was my first experience fishing on most of these old-timey designs. 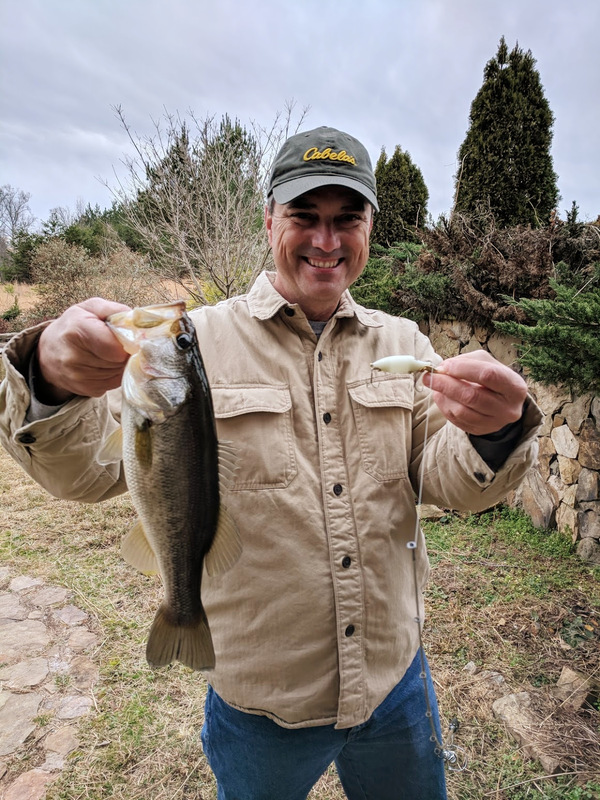 Now that we've "gotten our feet wet" making reproduction lures, we plan on printing and testing some of our own original designs.